COME VISIT US ON FAIRMONT PARKWAY IN PASADENA FOR OUR STEAKS, HAND-CUT IN HOUSE, AS WELL AS OUR AWARD-WINNING CHICKEN, FRESH SEAFOOD, MADE FROM SCRATCH SIDES, DELECTABLE DESSERTS AND HAND-CRAFTED COCKTAILS. WE FEATURE FULL-SERVICE DINING, A LOUNGE AND BAR, PRIVATE BANQUET ROOM, AND OFF-SITE CATERING. A PASADENA TRADITION FOR OVER 20 YEARS. Everyday we start fresh. We chop, slice and cut our way to freshly made soups, sauces, sides and dressings. Since day one we have sought out the best ingredients to create the great tasting flavors you crave and the value you deserve. Peppers is a Pasadena landmark that has served the community for over 20 years. Peppers strives to be valued member of the Pasadena community, and participates in numerous community events. Perfect for the whole family's tastes. Pick any three of our house favorite appetizers. Fresh jalapenos stuffed with our seafood cream cheese, deep-fried and served with our homemade ranch dressing. Mushroom caps stuffed with our homemade seafood cream cheese – get them baked with Peppers Sauce or fried with homemade ranch dressing. Peppers is proud to serve aged USDA Grade A Choice steaks. All of our steaks are hand-cut on site, grilled the way you want them, and served with 2 of our homemade sides. Slow-roasted prime rib seasoned with fresh herbs. Hand-cut to order and served with au jus. +Craving surf and turf? Add 4 shrimp cooked your way to any entree for just 5.99. +Served with 2 of our homemade sides. A Peppers favorite. A chicken breast hand-breaded and fried and topped with peppered cream gravy. Best in Pasadena! A seasoned, grilled chicken breast topped with melted Monterey Jack cheese, homemade avocado ranch, pico de gallo and avocado slices. Our most award-winning dish! Butterflied chicken breast stuffed with roasted pepper, fresh baby spinach and herbs, pan-seared to a golden brown and topped with a white wine mushroom cream sauce. A fresh gulf redfish filet, lightly pan-seared and blackened cajun-style. +Served with seasoned french fries. Large shrimps butterflied and breaded with coconut shavings. Served with a lime-coconut sauce. +Looking for something else? Though our fried seafood entrees come with seasoned fries, you can substitute any of our made from scratch sides for just 99 cents. +Served with hand-toasted garlic bread. Feel free to choose one of our four sauces on your pasta – alfredo, marinara, garlic butter or Peppers Sauce. +Served with chips or seasoned fries. The Peppers Favorite! Homemade bread pudding with pecans and cinnamon, topped with banana slices and smothered in our warm rum sauce. A house-made nut brownie topped with vanilla ice cream, chocolate sauce, whipped cream and a maraschino cherry. Our house margarita with 1800 tequila and a side car of Grand Marnier. A house speciality. Rum, vodka, and amaretto with fruit juices and a float of Bacardi 151. Craving something different? At Peppers Steak and Seafood we have a full bar – and are happy to mix you up your favorite cocktail. 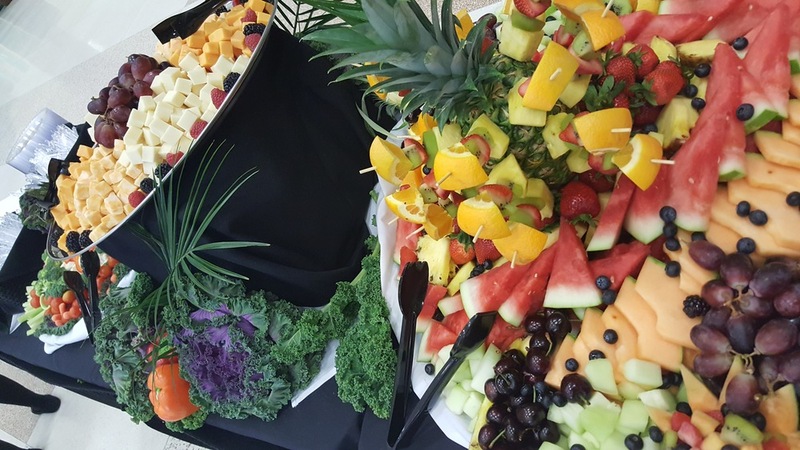 At Peppers Steak and Seafood, we offer both on-site catering in our Pepper Room, and off-site catering at your home or venue. To learn more about our catering packages or to reserve the Pepper Room for your next event, contact us at 281.998.1114.